Today, I left Higashiyama Onsen and pedaled on Route 49 along the northern edge of Lake Inawashiro to Bandai-Atami Onsen. The rain became stronger than in the morning, so I put on my rain ware and also rain cover for my shoes, and pedaled 48km carefully. 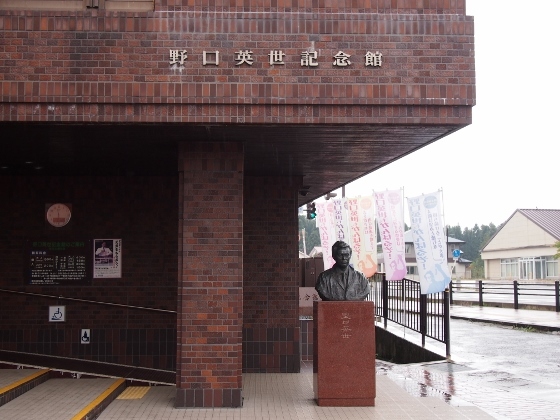 GPS log existed only as far as Hideyo Noguchi Memorial Hall due to the power off which I failed to check. The log shows a long ascent of 350m during 8km before arriving at the Hall. 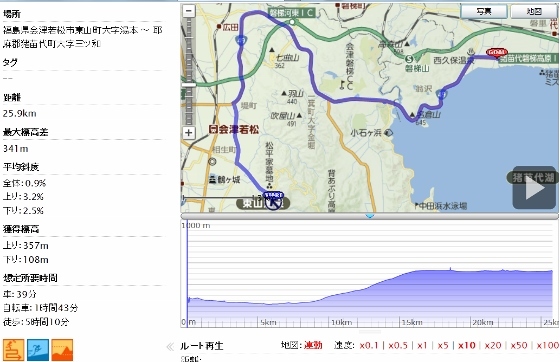 The rest of the route was a long downhill to Bandai-Atami. The Picture shows Hideyo Noguchi Memorial Hall which is located in the central part of northern edge of Lake Inawashiro. The hall exhibited excellent establishments of Dr. Noguchi, and middle and high school student visitors came one after another in groups, thus giving great contributions to student education. 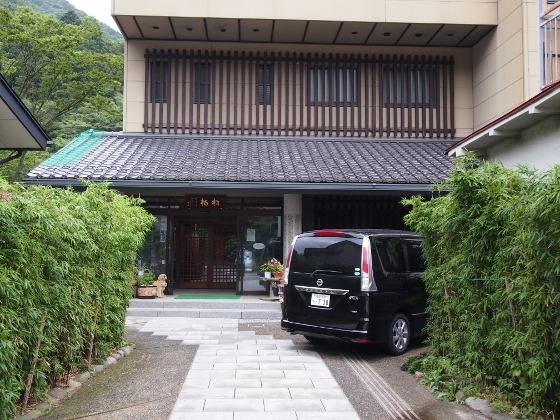 Tonight I stayed at Shouhaku Inn shown in the picture above. The inn was very comfortable; however, the hot spring water for indoor bath was heated and circulated with chlorination. I could keep my bike outside the house in security under enough roof space.